Musa Musaasizi at Kyotera police. KYOTERA- Police in Kyotera is holding a man who allegedly attempted to steal an ambulance. Ismail Musaasizi Musa, a resident of Namasuba, Makindye Sabagabo Division in Wakiso attempted to steal an ambulance from Kalisizo Referral Hospital. 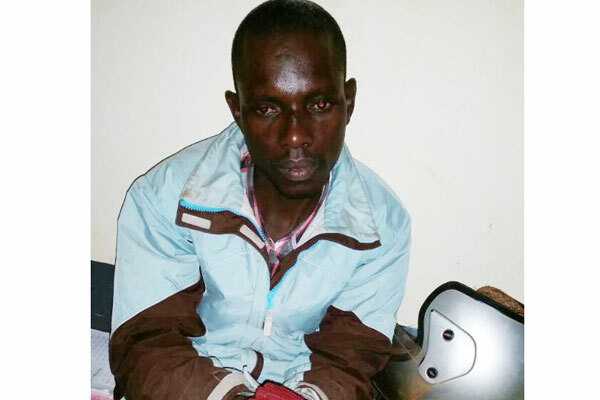 Musaasizi who claimed to be a boda boda cyclist informed the police that two men hired him to take them to Kalisizo town where they requested his assistance in stealing the hospital ambulance. According to the Southern Police Spokesman Lameck Kigozi,the suspect possessed fake number plates and an army uniform. Due to the fact that Musaasizi was not a serving army officer and yet he possessed an army uniform, Kigozi says that police has handed him over to the army at Kasijjagirwa Barracks for more investigations. 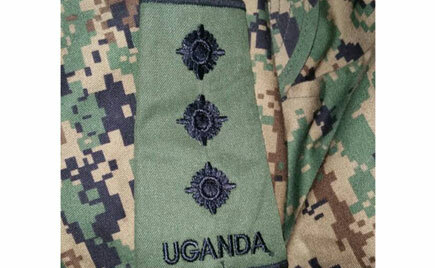 The UPDF army uniform that Musaasizi possessed. Kigozi adds that possessing the army uniform contravenes the UPDF Act.